IT’S PURE, IT’S SIMPLE, IT’S POOKA!!!! 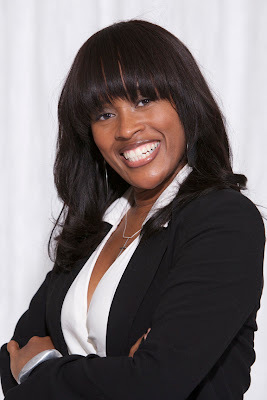 Dawn Fitch is an entrepreneurial genius. 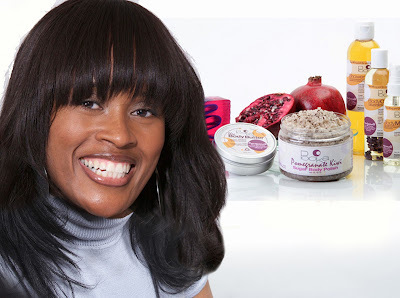 She took a few natural home-made remedies, sprinkled in a special key ingredient of family + close friends, poured in a mixture of drive and determination, added a creative name and voila! 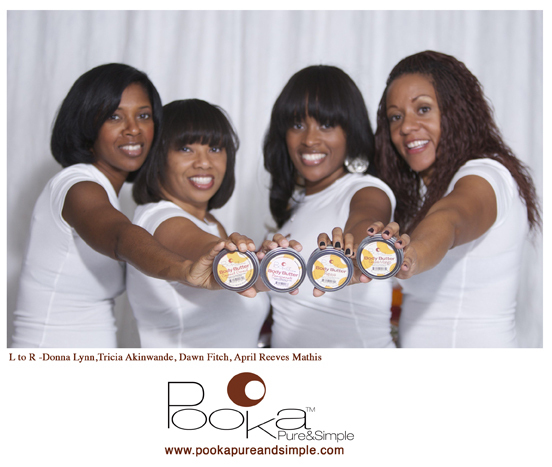 Pooka Pure & Simple, a handmade bath and body company was born. Not only does this amazing company produce natural body products that just have what you need in them, but their humanitarian efforts extend back into communities through their Pooka Giveback Program. Dawn spoke more in detail with Bronze Magazine about the origins of Pooka and her role as an entrepreneur. BM: Where did the name Pooka come from? DF: The name Pooka actually came from my mom, she used to call us her “Pookalitas” when we were little! (even my brother although he won’t admit it, LOL) That’s what I wanted to call the company but it was too long to fit on the label, so I shortened it to Pooka! Definitely named with love from my mom. BM: My hometown is East Orange, NJ and when I heard about you and your company I felt a great sense of pride. What have been some of the challenges you have faced as an entrepreneur? DF: Hey East Orange!!!! Oh the challenges question, well I could write a book just on this, LOL! Sales and marketing are a big challenge for most small businesses. You’ve got to let the word out about your company but when you’re smaller there isn’t always a budget for a PR person. We’ve spent a lot of time going to events, vending, home parties, just trying to get our name out there, its a never ending challenge. You have to get people to purchase not once or twice but become loyal customers. Finances are always a challenge, a lot of small businesses don’t always have start-up capital, so when we started we would buy some supplies, make some products and sell them, then use the money to order more supplies. Its tough to start this way, but that’s what we had to do, until we got a little momentum going. Lots of things I never thought about, business insurance, taxes, product liability it was all a learning experience, but I wouldn’t trade it, it’s been an exciting journey! BM: Congratulations on your first book Moving Through Opened Doors. What inspired you to write it? DF: The Inspiration was GOD is good!! We received so many blessings and “Ah ha” moments during the Pooka journey that I had to write them all down. Its the story of Pooka and all that happened along the way. us why and what advice would you give to other budding entrepreneurs? DF: Well I am truly an accidental entrepreneur! I didn’t plan on having a business. I had gotten sick a while back and in an effort to make myself feel better I really developed a love for aromatherapy and holistic living. I started making the products just for me to feel better. Then I started giving them to friends and family and they actually liked them, LOL! My friends and family suggested I take the products to a festival and sell them. I was thinking I’d sell a couple of things and go home but WE SOLD OUT! That’s when my friends and I realized, “We have just started a business!” It was a good and bad thing. We just dove in and got started but there were many days when we felt that we were running to catch up to the business because we weren’t prepared when it started. Year 10 and we’re finally catching up! My advice is if you’re going to start a business do your homework and be prepared, but If you just fall into a business don’t be afraid to go with it and figure it out as you go! BM: Dawn, I have thoroughly enjoyed learning about you. Can you please let our readers know how they can be put in touch with your products? DF: If you’re a facebook fanatic, visit our fanpage where we give away prizes and have some interesting conversations at www.facebook.com/pookapureandsimple. You can also join our newsletter there. We’ve also got a youtube channel where we have videos about different ingredients, our travels and things we find interesting at http://www.youtube.com/Pookapureandsimple Definitely visit our website and check out our products at www.pookapureandsimple.com We also have a blog where we share our stories and different points of views at pookalitas.blogspot.com. If you’re a facebook fanatic, visit our fanpage where we give away Whew, that’s a lot of stuff, LOL!!! Thanks so much for this opportunity, I really appreciate it! Reading: IT’S PURE, IT’S SIMPLE, IT’S POOKA!!! !